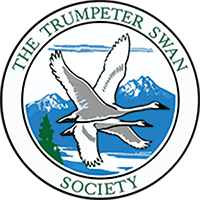 The biennial conferences of TTSS provide the only public forum in North America that brings together private citizens and conservation groups, policy makers, swan managers, and researchers to examine the status and needs of Trumpeter Swans in the U.S. and Canada and to work together to make all populations secure. Join us in Polson, Montana to confer on Trumpeter Swan conservation and help chart the Society's course for the future. The conference will put special emphasis on the status of swans in the Western United States, including updates about the status and management of the Pacific and Interior Populations of Trumpeter Swans. There will be progress reports on topics such as lead poisoning in British Columbia and Washington State and expansion of Trumpeter Swan populations elsewhere. 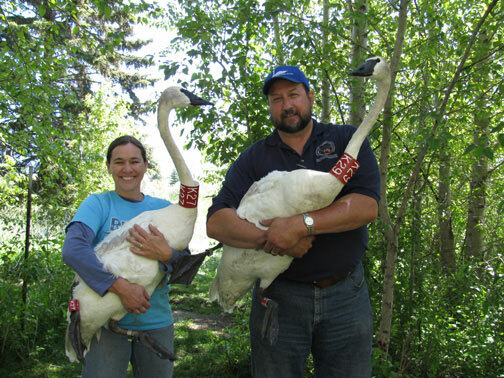 Learn about Trumpeter Swan restoration efforts in western Montana, as well as challenging issues facing swans in the Pacific Northwest. The conference will include a field trip to wetlands in which Trumpeter Swans are being restored as a viable breeding species in Montana's Flathead Indian Reservation and the nearby Blackfoot River Drainage.